AutoWeek is reporting that according to Audi of America President, Johan de Nysschen, an Audi electric sports car based upon the E-Tron will debut within the next 2 to 3 years. In de Nysschen's own words, concerning a new electric Audi sports car; "I expect we will see running examples in the next 24 months." 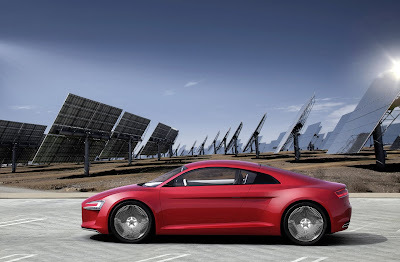 Also, Audi plans to enter the hybrid market with the introduction of the Q5 Crossover set to debut in 2011.